Two hundred twenty-two (222) have been confirmed dead and 843 were injured as of Sunday evening or 24 hours after a deadly tsunami hit the coast of Indonesia’s Sunda Strait on Saturday, December 22 at 9:20 p.m.
Twenty eight (28) people remain missing among the ones reported but the authorities fear that more are still missing; they are expecting the death toll to rise. 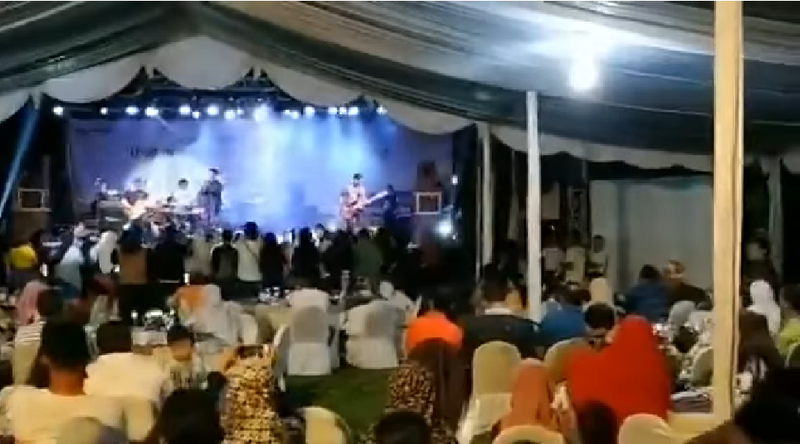 Among those affected by the tsunami is a band performing Tanjung Lesung beach resort in west Java. 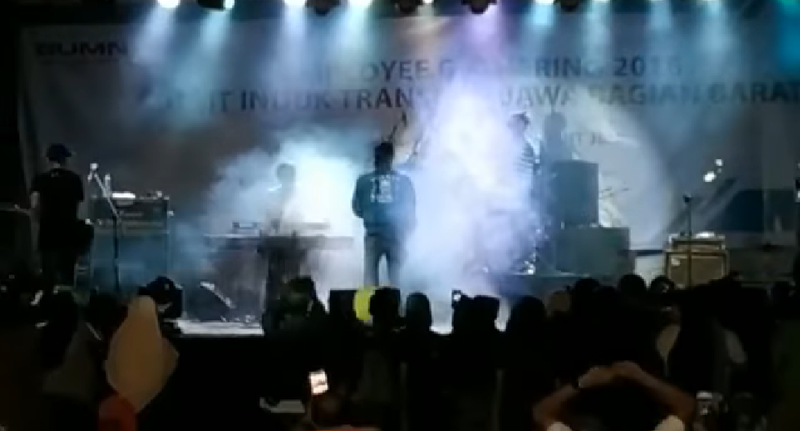 Indonesian pop rock band ‘Seventeen’, based in Bangkok, was in the area to perform in a concert and was in the middle of a song when the tsunami hit. In a video that has gone viral, the band could be seen performing on stage. Everyone was just enjoying the moment when all of a sudden the tsunami waves hit the stage from behind, making it crash down on the performers. Many of the people enjoying the concert got swept into sea, with the band losing many of its members. While the lead singer survived, bassist M. Awal Purbani and road manager Oki Wijaya were among those confirmed dead. As of press time, three of the band members remain missing: Herman Sikumbang (guitarist), Andi Windu Darmawan (drummer), and a certain Ujang (crew member). Sadly, lead singer Riefian Fajarsyah announced that his wife, actress Dylan Sahara, was also among those washed away by the deadly tsunami. Riefian posted an emotional tribute to his wife and band members, asking for prayers that they would be found soon. The survivors in the band were stuck in the location due to lack of transportation and also because they are awaiting news of the fate of the others in their team. They have received medical attention, as with the other victims, but they are all just hoping the others are still alive somewhere. Authorities believe that the eruption of the Anak Krakatoa volcano (the ‘child’ of legendary Krakatoa volcano) triggered underwater landslides that led to the tsunami. “Tsunami warning buoys are positioned to warn of tsunamis originated by earthquakes at underwater tectonic plate boundaries. Even if there had been such a bout right next to Anak Krakatau, this is so close to the affected shorelines that warning time would have been minimal given the high speeds at which tsunami waves travel,” explained Prof David Rothery, a professor of Planetary Geosciences at the Open University.